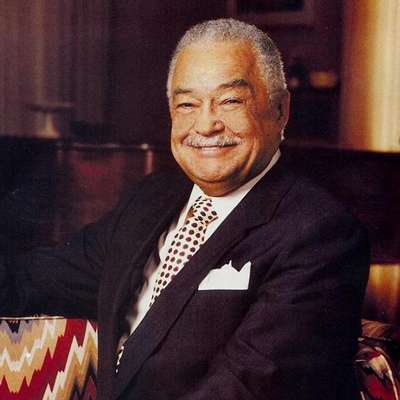 November 29, 1997 Coleman Alexander Young, Detroit’s first African American Mayor, died. Young was born May 24, 1918 in Tuscaloosa, Alabama. He moved to Detroit in 1923 and graduated from Eastern High School. During World War II, he served in the 477th Medium-Bomber Group, Tuskegee Airmen, as a bombardier and navigator and played a role in the Freeman Field Mutiny in which African American officers were arrested for resisting segregation at a base in 1945. In 1964, Young was elected to the Michigan State Senate where he served until 1973 and in 1968 he became the first African American member of the Democratic National Committee. In 1973, Young was elected Mayor of Detroit with one of his top priorities to more fully integrate the police force, which was approximately 19% African American at the time of his election and over 60% at the end of his tenure. Over his 20 years as Mayor, the General Motors “Poletown” plant, the Renaissance Center, the People Mover, Joe Louis Arena, and several other landmarks were completed. Young was also the driving force behind the construction of the current Charles H. Wright Museum of African American History building and after his death he laid in state at the museum. In 1981, Young was awarded the NAACP Spingarn Medal.